Note: This article is re-posted from the original, at EndUserSharePoint.com. 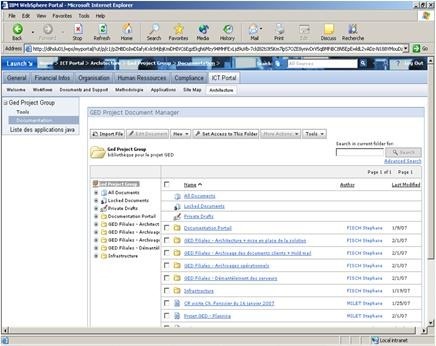 I recently spent some time looking at SharePoint Server 2010 and itâ€™s competition from vendors like Oracle, IBM, and Google. Key focus areas for me were ECM, Collaboration and integrating existing Busines Intelligence applications. Each vendor spent a day talking about their latest products and hereâ€™s what I learned. 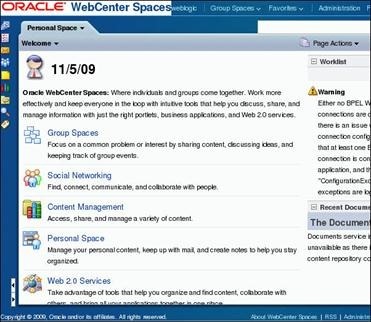 Oracle had a great presentation and they showed a demo of Oracle WebCenter Spaces. During the demo, it was difficult to distinguish between the Spaces product and all the other add-ons. A large part of the demo focused on a â€œMySiteâ€ type social experience and come to find out, you donâ€™t get that out of the box. The product is called â€œSocial Connectionsâ€ and is available as a stand-alone or add-on to Spaces. Spaces does give you a lot out of the box though. There are wikis, blogs, tagging, links, mashups, Group and Personal spaces. Their calendar feature even allows aggregation of several calendars overlayed right in Microsoft Office Outlook. They also showed us a demo on â€œpresence,â€ which is the ability to see if a co-worker is online. When asked â€œhowâ€ it was enabled, we were told you needed something like Microsoft Office Communications Server. There is full support for integrating BI systems and .NET development of portlets (web parts), which was a huge plus. Oracle also did a demo on Oracle BI Server which I found to be very powerful and easy to use, but again doesnâ€™t come with the product. I didnâ€™t see Spaces as something for larger teams, and definitely not what I was after: A scalable and cohesive enterprise portal platform. For that, Oracle has other products that you could use with Spaces to get the desired result. Finally, Oracle explained their other portal products, five of them! Track record of past integration is important to me. I think Oracle has done a poor job of integrating its acquisition of competing technologies. Spaces was built from the ground up but is still too new. A clear roadmap is also important and Oracle doesnâ€™t seem to have one. They are getting their feet wet with Spaces but still support other products that do the same things, some better than others. I didnâ€™t know what to expect from Google but it was worth a look. Google showed us a suite called Google Apps and specifically focused on Google Sites. 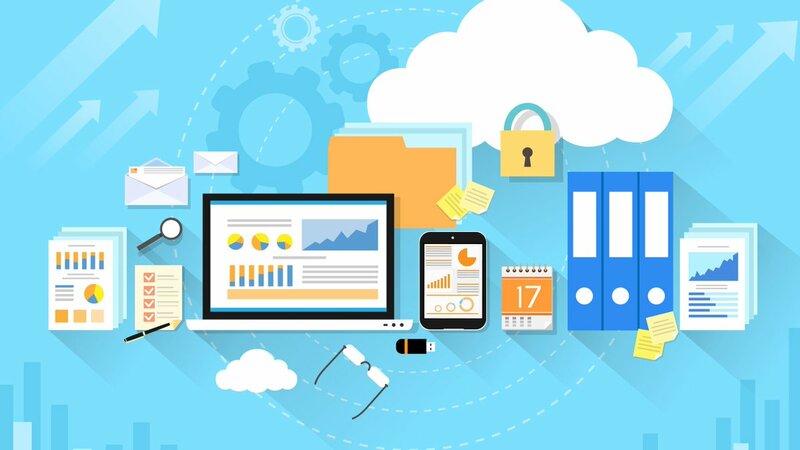 Unlike the other vendors, Google Apps is a â€œcloud onlyâ€ offering, which has its pros and cons. The demo touched on messaging a bit and most of us were familiar with Gmail. I think Gmail has some really compelling features, specifically storage, search, and presence. For their collaboration piece, Google Docs provides easy sharing and collaboration. Groups can be created to help manage permissions and the user has all the power! This removes IT from managing groups, authentication, and organization of documents and sites. However, there was no cohesive navigation experience, which you may or may not need. This was important to me though, as I was seeking a good ECM system. 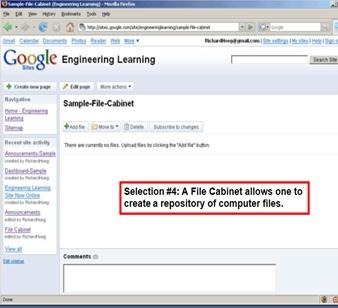 Google Sites is the engine for creating wikis and pages full of content and integrating the other pieces such as Google Docs, Calendar, Maps, and Picasa Pictures. Google Sites basically gives you an empty â€œWeb Partâ€ page. Gadgets can be added by dropping them on the page, quick and easy. Integrating anything into your Google Site that was not Google is very hard or impossible to do. Custom development was another important area for me and Sites provides no support for .NET but perhaps Java or Python. Google Apps is very centered around the individual and wasnâ€™t really a portal solution. Google did promote the fact that they improve the product, based on feedback, every 2-3 weeks. However, if youâ€™re looking for more of an all-in-one solution, Google Apps is not a good fit. Youâ€™re left mostly powerless and dependent on Google. IBM showed us their Websphere suite. Actually, much of the time was spent on more generic lessons like what a Portal is, what ECM means, etc. I really wanted to see the demo! Alas, they got to it but just played a series of videos showing a â€œday in the lifeâ€ of an information worker. Thereâ€™s support for some ECM, like document check-out and check-in and versioning but nothing like what SharePoint Foundation can do. For more functionality, you could purchase and integrate Lotus Quickr which gives you rich media (play in browser), content libraries, team places (like team sites) and a personal space. IBM made some investments in social enterprise with presence, instant messaging and activity streams. However, you would need IBM Lotus Sametime, which is a separate product. Also, separate is IBM Lotus Connections which gives you tagging, communities (like team sites) and people finder. Like Oracle, it was hard to figure out what was being shown. When asked directly, we found out that you basically get an empty shell but can add-on about 35 additional products (at an additional cost for each) to get the experience that was shown. IBM stated they acquired over 80 companies, while that is an achievement, itâ€™s not positive unless you can take the best from each of those and integrate them well. This is certainly not the case with IBM. Youâ€™ll also notice that many of those products overlap and you have to choose which ones to enable to get what you need. Websphere Portal by itself basically gives you nothing (except a blank Web Application), whcih was disappointing. IBM and Oracle provide a nice â€œintegration framework,â€ but a lot of the work is left for you to figure out how and what to integrate; never mind the additional costs of doing so. Google takes the other extreme, giving you a very limited toolset on the cheap. Microsoft SharePoint gives you the best value â€“ you get a top-notch platform with all the features that other vendors advertise, like social tagging, document management, team sites, and excellent search. In addition, youâ€™ll get great out of the box web parts and an intuitive interface that people are used to seeing. You really donâ€™t have to integrate anything to get a full, rich experience but optionally can do so with support for many standards. SharePoint offers a good balance of enterprise control and user empowerment. Both IBM and Oracle have products that tie into SharePoint, one way or another. Why is this? One vendor said it best: It exists because they recognize SharePointâ€™s pervasive nature in the enterprise and business world. I can’t really argue with that, this is afterall a SharePoint blog. However, i tried to be objective when comparing the products and this is just my personal study. You can’t really argue with the trend. Companies are switching from those vendors (and others) to Microsoft – it is an excellent product.